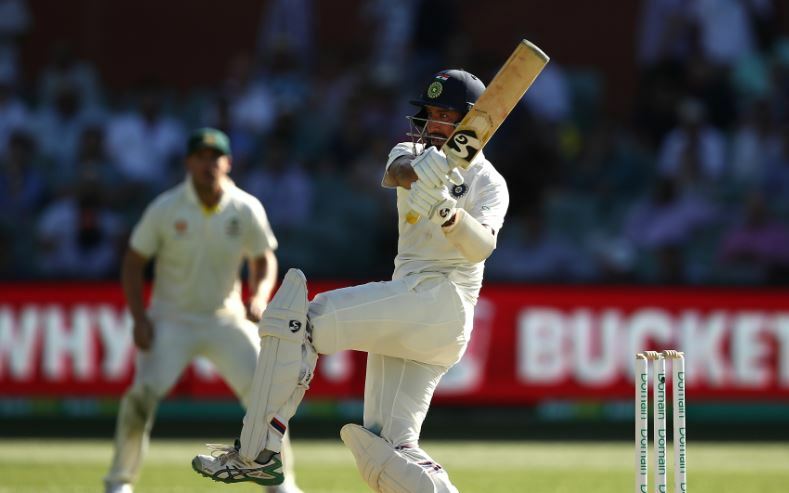 A superb century from batsman Cheteshwar Pujara pushed India to 250 for nine on day one of the first Test against Australia at the Adelaide Oval on Thursday. Pujara welcomed a 16th ton in Test match cricket – and a third against the Australians. The talented right-hander’s vigil proved particularly important after the visitors slipped to a precarious 19 for three, which included the early departure of captain Virat Kohli. Pujara was run out in the closing stages of the day, after an acrobatic direct-hit from mid-on fielder Pat Cummins. His 123 featured seven fours and two sixes – and spanned 246 deliveries. Kohli’s decision to bat first after winning the toss afforded the home side first opportunity on a challenging Adelaide pitch. Fast bowlers Cummins, Josh Hazlewood and Mitchell Starc duly obliged, sharing four key wickets before the introduction of spinner Nathan Lyon made inroads into the lower order. Cummins was, statistically, the best bowler of the day. His two for 49 in 19 overs featured the dismissals of Kohli and the dangerous Ravichandran Ashwin. While Kohli was caught on the drive by gully fielder Usman Khawaja, Ashwin’s threat was stifled by second slip Peter Handscomb’s good grab. Ashwin, specialist batsman Rohit Sharma and wicketkeeper-batsman Rishabh Pant strung together promising starts, but were not able to convert to numbers of Pujara-esque substance. Tail-enders Ishant Sharma and Mohammed Shami will resume on Friday.